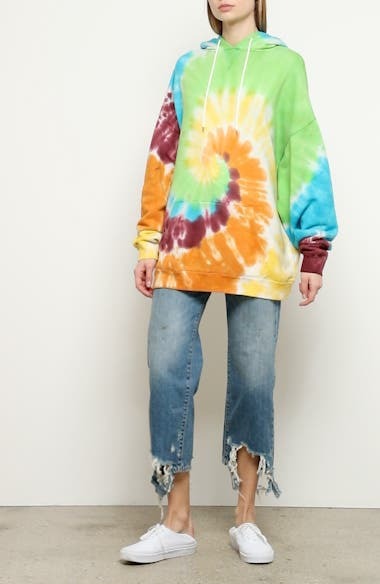 Swirling rainbow tie-dye lends psychedelic panache to a super-slouchy hoodie cut from cozy terry. Choose a sizeOversized by design; for a closer fit, order one size down. XS=0-2, S=4-6, M=8-10, L=12-14.